To see available dates and book your hunt please call or e-mail Eric and Heather Strand. On your hunt with S2 Outfitters you will meet your guide at a meeting place determined after scouting the day before and follow him to the hunting location. 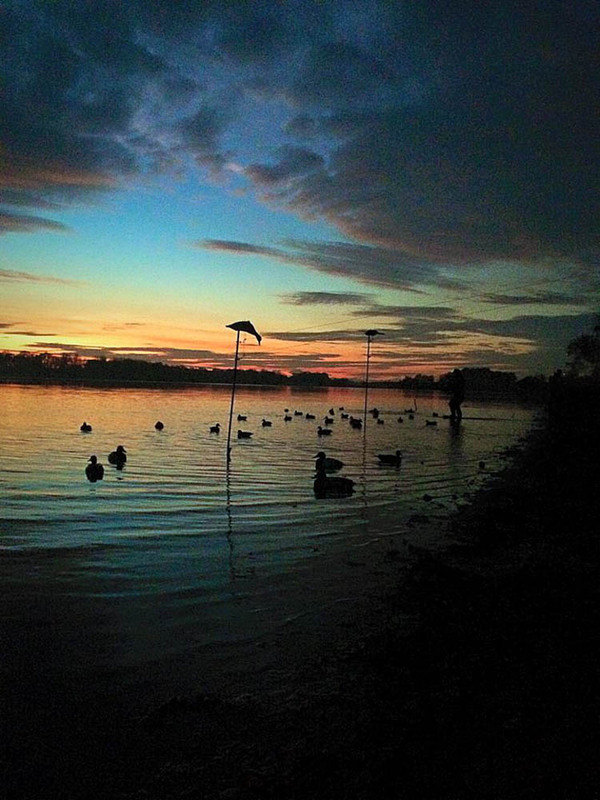 Upon arrival you will walk together to the blind where the decoys will be set and ready to hunt. 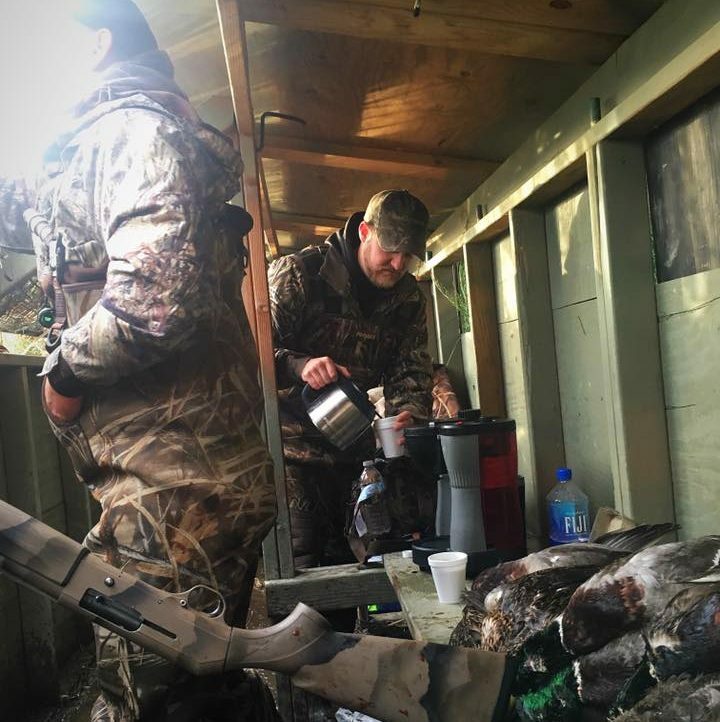 Most of our hunts take place out of comfortable blinds with shooting benches, roofs, solid wood floors and a coffee pot nearby! We hunt until the hunters limit of birds is met or 1-2 0’clock in the afternoon. During cold weather or stormy afternoon weather we may choose to meet mid morning and hunt through the afternoon to take advantage of mid day/afternoon bird movement. We hunt all across the flyway depending on the birds we are hunting and trip you have booked. We have property up and down the hwy 30 corridor, Sauvie Island and the Willamette Valley. Depending on the time of year, water levels and weather we have property located in all the “right” places so you have a great hunt! Most of our Diver hunts will take place on the Lower Columbia section of the river but depending on the species we are targeting we will also hunt east of The Dalles and southern Oregon. Location is everything so we stay on the birds with the ability of being mobile! 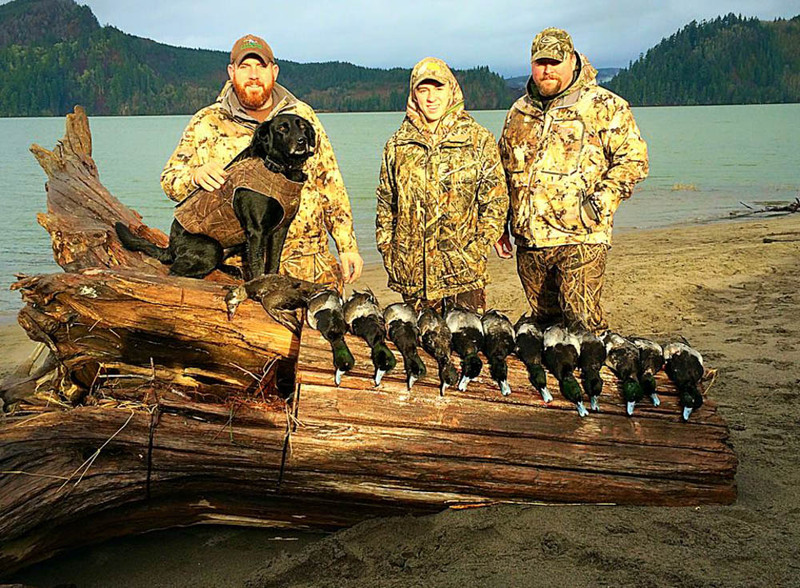 Our Eastern Washington diver hunts take place out the Wenatchee area. We feel very fortunate to have Jordan Osborn running these hunts. A local to the region his knowledge of how these birds move and migrate is second to none! 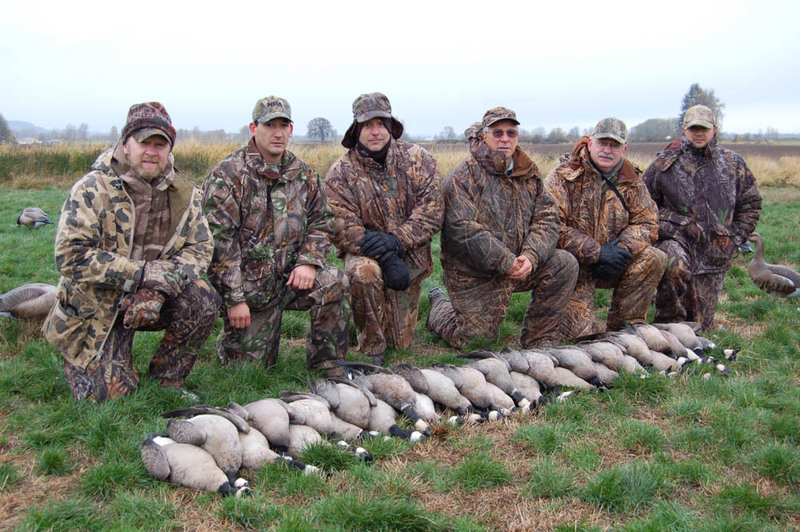 All of our goose hunts will take place in Northwest Oregon and the Willamette valley. We scout daily when we have goose hunters scheduled and we make it a point to have access to very productive goose ground. Be sure to bring a gun and ammunition. If you have any questions with regards to what we recommend please let us know. 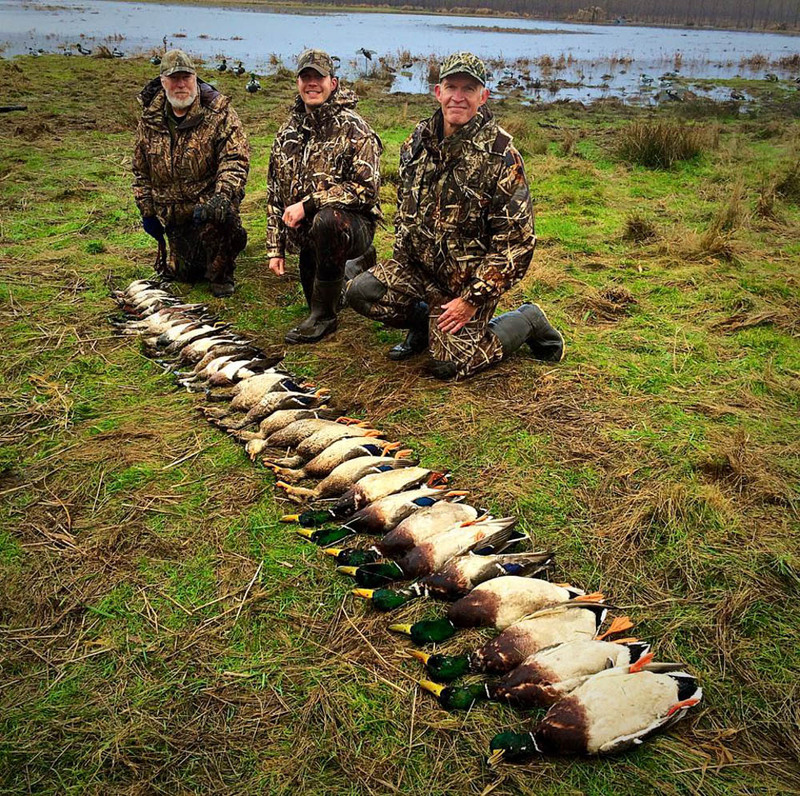 Steel shot is required for waterfowl. #2’s, #3’s or #4’s for Ducks and #2’s and size BB shot is recommended for Geese. We are sponsored by Remington Arms and have 2 Remington V3 shotguns to demo if you would like to give one a try on your hunt! Make sure to bring plenty of clothes to stay warm and dry during your hunt.Long underwear, rain coat, gloves, chest waders, hat (drab colors or camouflage preferred), face netting optional. Most of our blinds are pretty dry but it always helps to be prepared for any weather that could come our way. Warren, Oregon is our base of operation and easily accessible by Interstate 5, Hwy 30 and Interstate 84 making it a breeze to travel by car or truck. When traveling from out of state to hunt with us we recommend flying into Portland International Airport (PDX) and renting a car or SUV. 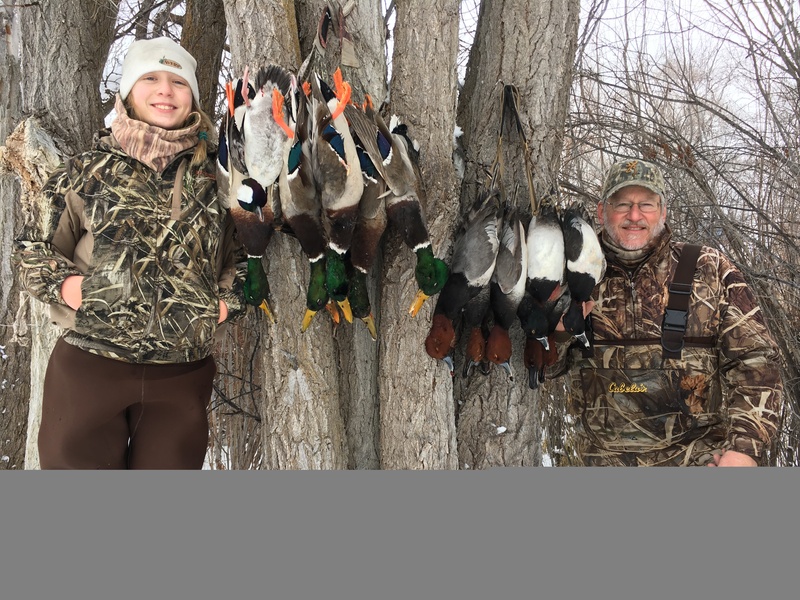 The weather during waterfowl season in this area can range from mild and warm in the early season to cold, wet and stormy in the mid- to late season. Please call us before you come to be informed of the current weather conditions so you can be properly prepared. If your hunt is scheduled for later in the season when it could be very cold, please be sure to bring adequate warm clothing to keep you comfortable while hunting. Most of our clients stay at the Best Western Hotel in St.Helens, Oregon.This hotel is centrally located to many places we hunt with clean, comfortable rooms, quality dining nearby and early morning continental breakfast. For reservations contact Best Western St.Helens, Oregon (503.397.3000). We also recommend staying at the Big Creek Fishing Lodge in Knappa, Oregon if you prefer a lodge setting with steelhead fishing just a few steps from the front door. Contact Howard Kem at 503.318.4804 for availability and pricing. To reserve your date we require a $100 deposit per hunter. This deposit holds your date and is refundable if you call to cancel or re-schedule your hunt with more than 48 hours notice. Final payment will be collected after your hunt. We can accept cash, check, money order and Visa/Mastercard. If your business would like an invoice for your records please let us know and we will have one prepared for you before the hunt.